In the beddings’ world, down pillows remain at the driver’s seat due to their warm comfort. Encased in a cotton shell, they combat dust mites and super-fluffy feel. 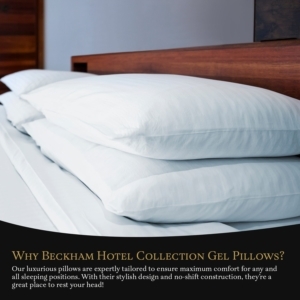 Natural filled pillows provide specialized support and better firmness. Whether you’re a side, front, or back sleeper, these pillows offer full head and neck support to keep your spine aligned. 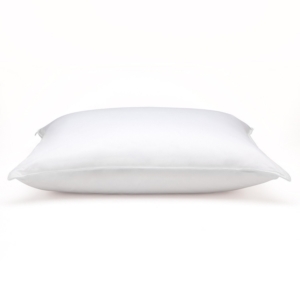 Browse through this Luxury Down Pillow Review for head-support that babies you in restful slumber with a lighter and fluffier fill. Natural down offers fine thermal insulator padding shored up by small feathers adding weight, steadiness, and bulk. A 100% cotton shell encapsulates the fill while it’s easy to maintain hygiene and cleanliness for an allergen-free ambiance. Down and small feathers provide unparalleled softness, fluffiness and the ability to conform to shapes you prefer more superbly than foam and fiber. The down of birds refers to a seam of delicate feathers found beneath the tougher exterior feathers. 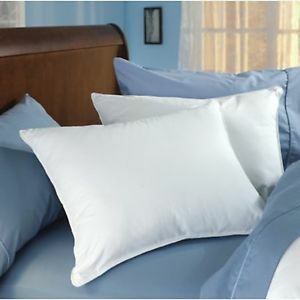 It gives the pillow superior insulating thermal properties for unremitting and lavish comfort. The feathers add bulk, weight and shiftless fill that will not compact with age. Encased by 100% cotton shell, it offers the delicate sensation of down without any poking. 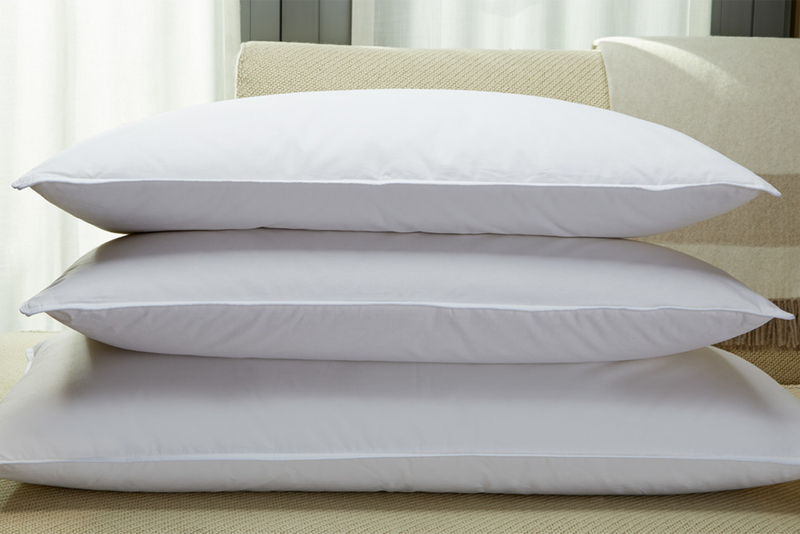 Down pillows outclass other fill materials regarding luxury and comfort as they cradle your head, exert support where you need it most and high loft. Clocking in at 750 Fill Power, this product embodies excellent quality and longevity. Fill power grades down clusters’ ability to retain its original shape or loft if it’s compressed. Higher fill power in the market translates to a loftier, lighter and superior insulation. 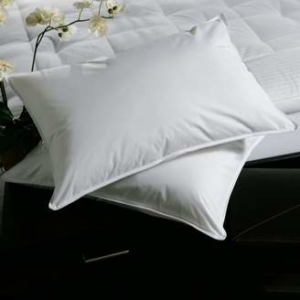 Luxury Down Pillow’s high fill power renders superior bedding that provides a more comfortable sleep for the long haul. Super-massive, tougher down clusters offer unique loft and insulating properties for weightless warmth. Larger down clusters in a higher fill power pillow act as a natural insulator and retain body heat in the chilliest climates. It’s lighter than air, allowing it to immediately adapt to your body temperature and ensure optimal breathability throughout. The extended staple cotton cover has stronger and more delicate yarns for a lighter, suppler fabric. It also acts as a defensive cover to deter the down from poking through for the ultimate snuggle. 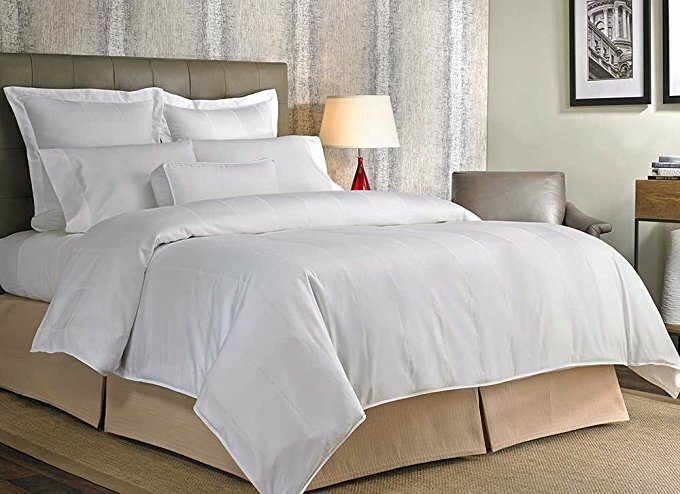 The 100% cotton cover edged with double silky piping has clean finish creates not only a superior barrier but also enhances the light and fluffy attributes that down boasts. The finish will also help to inhibit piling and augmenting strength, luster, texture, and appearance. 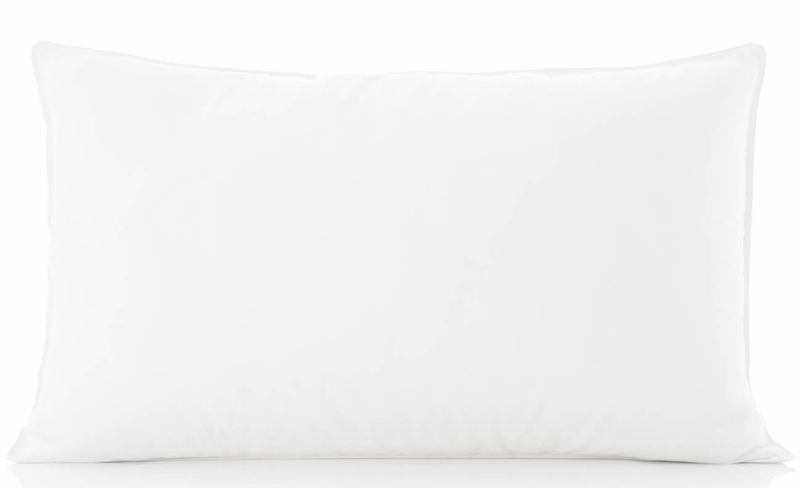 It’s factory-sealed to help keep your pillow hygienic and dust-free. 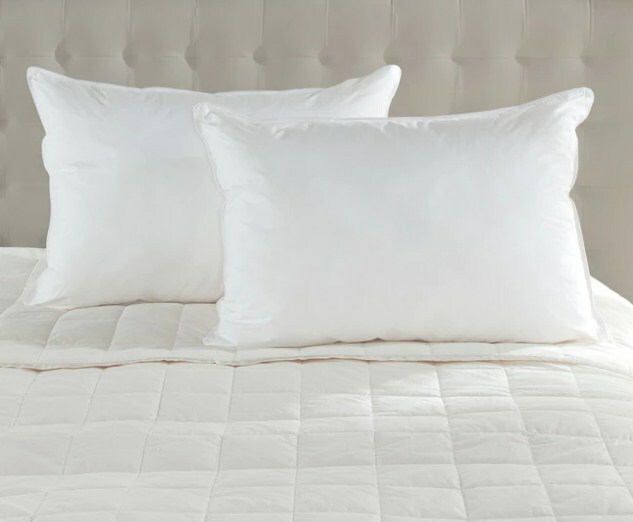 With 500-thread-count, the cotton surface has enhanced smoothness and toughness. Solid construction, smooth touch and elegant drape foster superior luxury and durability. Rigid sanitization processes make down hygienic and safe from all odors, harmful dust or biological contaminants. 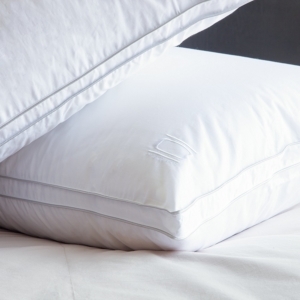 The down-proof cotton cover makes the Luxury Down Pillow more repellent to dust mite issues than standard synthetic products. Hypoallergenic cleaning and sterilization procedures purge dust, dirt or other impurities that may trigger allergic reactions. 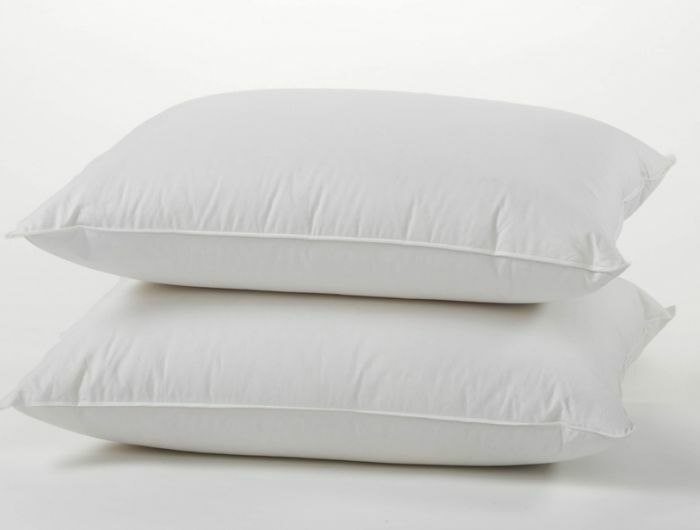 Thorough cleaning renders a pristine hypoallergenic down pillow while excellent turbidity and oxygen rating guarantees its safety for allergen sleepers sensitive to feathers. As long as you dry and shake out thoroughly, it will not trap mildew or mold that cause bad smells. It’s also breathable to help your skin breathe and keep cold or vapor out. With tighter and firmer construction, you won’t need to fluff the pillow many times, once a month will bring the bounce back. Re-fluffing also makes your pads more durable and aesthetically superior. Put the pillow in the dryer and add at least two tennis balls. The tennis balls make re-fluffing and drying a no-brainer while also combating the down from clumping, losing density and drying unevenly. Good housekeeping admonishes deep-cleaning to remove perspiration, body oils, dust, odor and any spills. Let pillows bathe in sunlight on a warm and non-humid, sun-drenched day to fluff and freshen by airing out. Moisture trapped in the down evaporates leaving a wonderfully pure smell. 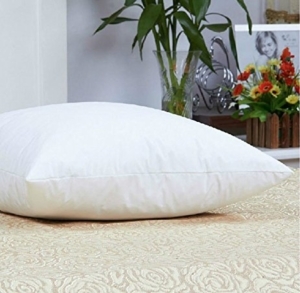 Why should you use Luxury Down Pillow? Down warms up without weight due to the three-dimensional structure and natural loft with each cluster trapping more air than its weight. Each ounce of premium down has approximately 2 million fluffy filaments that interconnect and straddle to create a protective layer of air that seals warmth in and cold out. It’s exceedingly resilient so you can scrunch up or even it out, and then offer it a thorough shake to fluff it back to the shape that hugs you cozily and warmly. Down and feathers rigidly cleaned and sterilized with unique processes, rinsing and drying serves up hypoallergenic down. The procedures ensure permanent expulsion of odors and promote ineradicable lofting of the fill. It resists penetration by dust mites and lacks allergen contaminants making it safe for all sleepers. With 750 Fill Power means it will regain its original form and loft even if you compress it. A higher fill power means fluffier, lighter and warmer bedding. 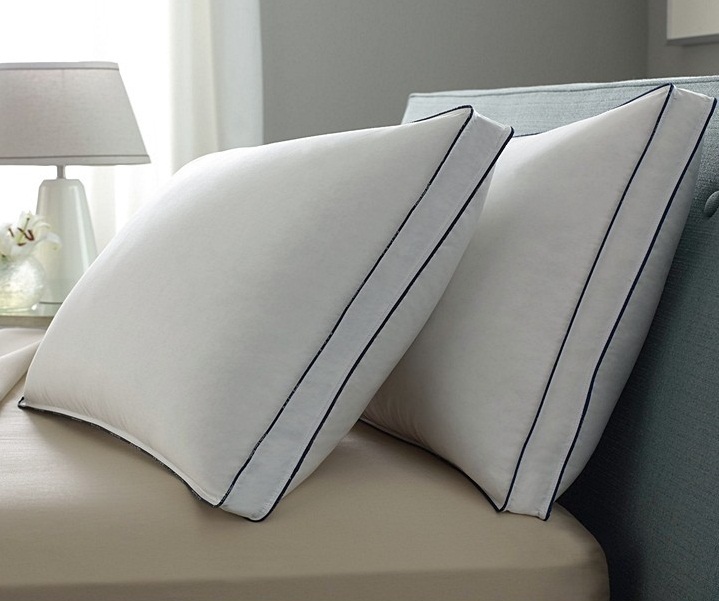 The Luxury Down, Pillow makes an exquisite picking for a comfortable night sleep many decades down the road. 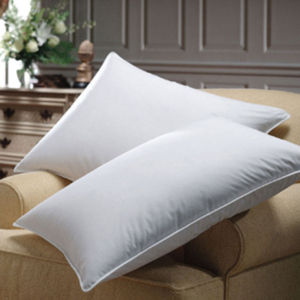 Luxury Down Pillow has a unique design for optimum comfort enhanced by 100% cotton shell. 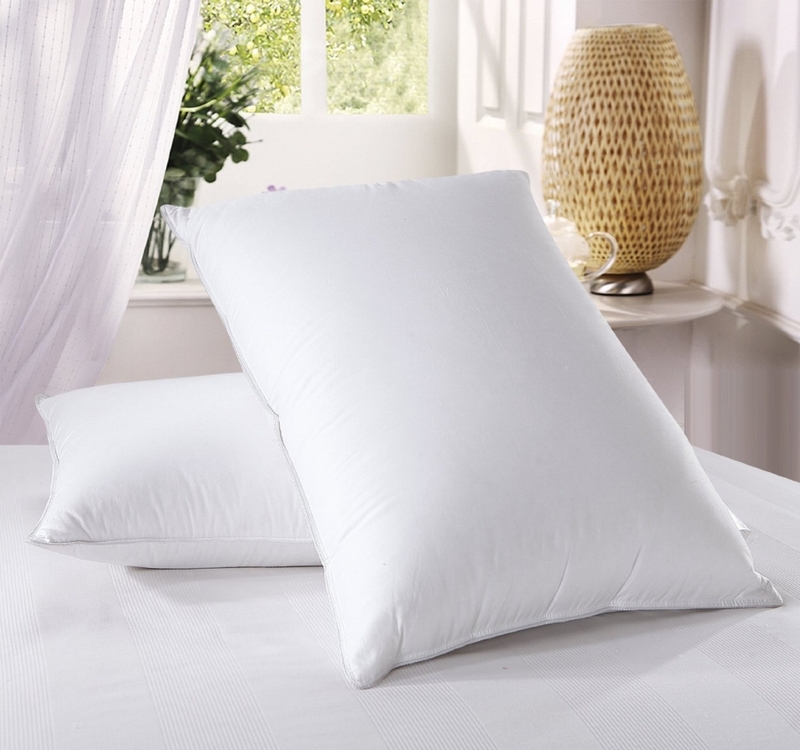 The sumptuously lofty and soft pillow possesses absorbent and superior insulation for lavish slumber. Plus, no feathers can poke through the nonporous cover. The pillow represents top brass artistry edged with double silky piping. It has a luxuriant touch along the layers for a more robust, aesthetic look. It has a cleaner finish with a sheen luster without compromising on comfort. What is the quotient of down to feathers in percentage? Where do they source goose down clusters? They handpick before slaughtering birds inhabiting the coldest regions such as Hungary and France. Does the pillow discharge a nasty smell? How do they retain loft after prolonged use? Re-fluff once in a while to air out bad smells and restore volume. Can this pillow help me improve low back pain and spinal ache? You can try out but also supplement with spinal decompression and physician regimens. 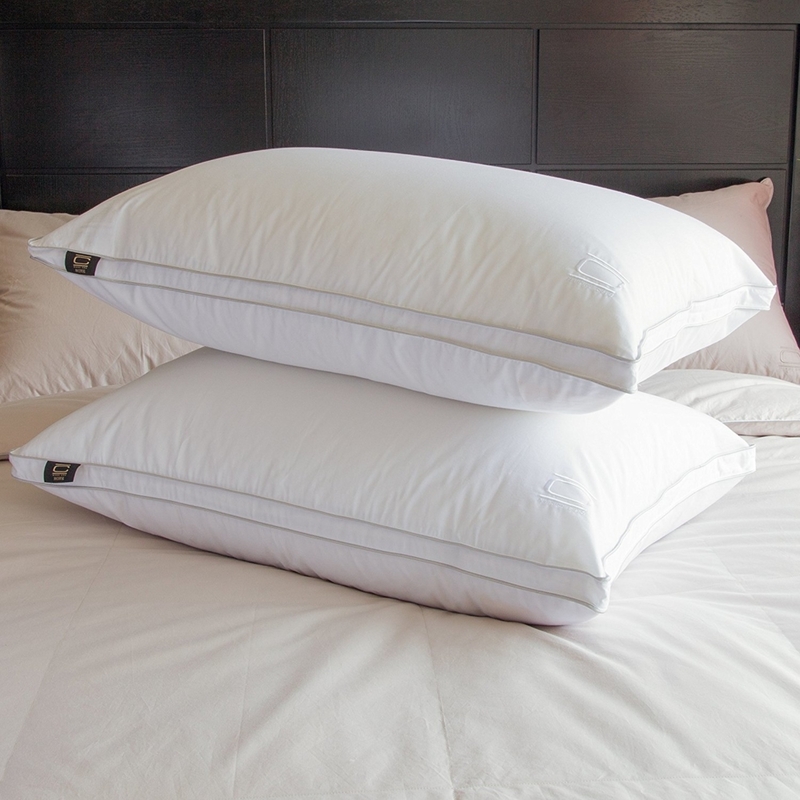 The Luxury Down Pillow Review touts the product’s superiority in quality and luxury. 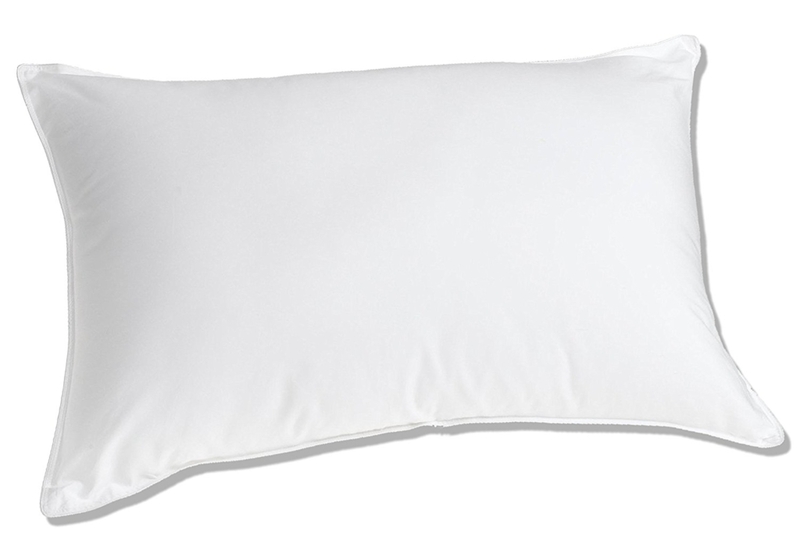 While it may look like other pillows from the exterior, it packs a heck of a punch inside with resilient down. The premium quality down comes from more substantial, more robust clusters that offer deluxe loft and natural insulation with weightless warmth. Since it’s lighter than air, it instantly aligns with your body heat and fosters optimal breathability. 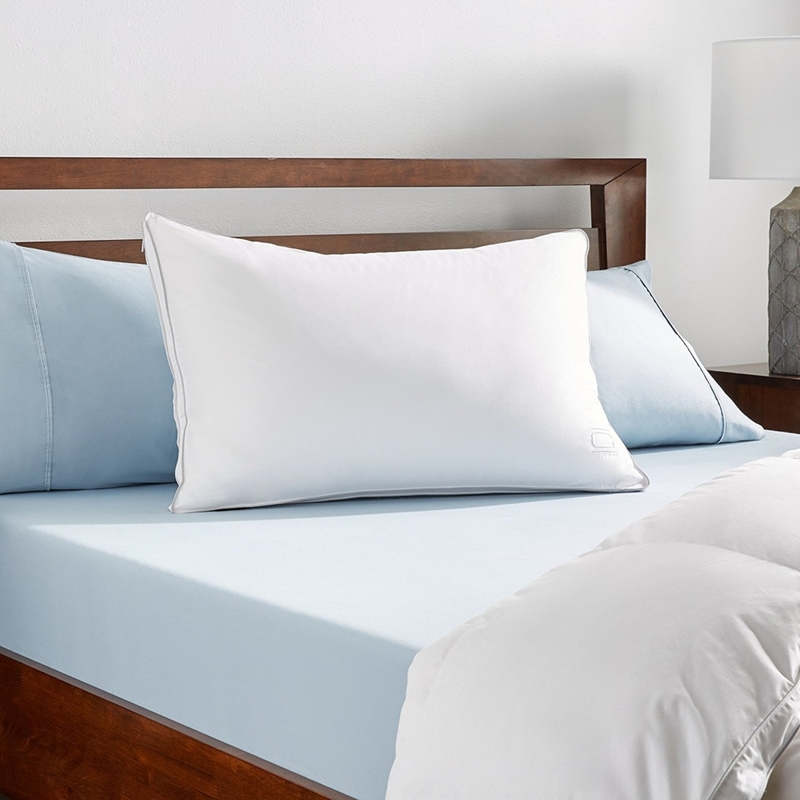 The 100% cotton cover with double sewn piped edges possess a clean finish and act as a nonporous seam to prevent feather spillover. 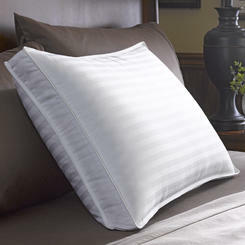 Besides, the pillows undergo stringent cleaning for sniffle-free bedding without dust and dirt. An ideal sleeping posture with the aid of head-support can give neck and back pain a decisive blow. 31 million Americans sustain low-back illness in their lifetime as reported by the American Chiropractic Association. 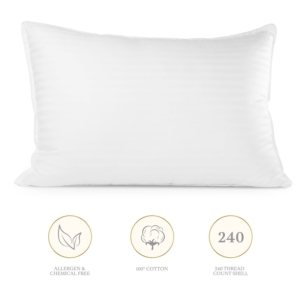 The Luxuredown Goose Down Pillow Review relates to a masterwork designed to cradle your neck in different angles and densities. 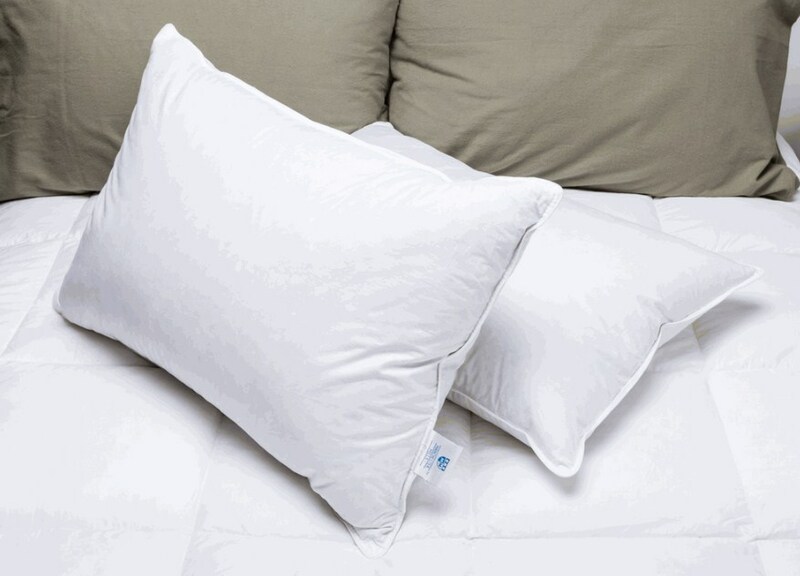 Luxuredown Goose Down Pillow also accommodates your head, arm, and shoulder if you flip on your side. Luxuredown has a softer, denser and suppler lining to inhibit low back and neck aches. It creates a silky pad for your head and neck to relax during sleep, inducing a deep slumber in a trice. It’s enveloped in 100% cotton shell, packs 650 Fill Power and infused with goose down for better head and neck support. 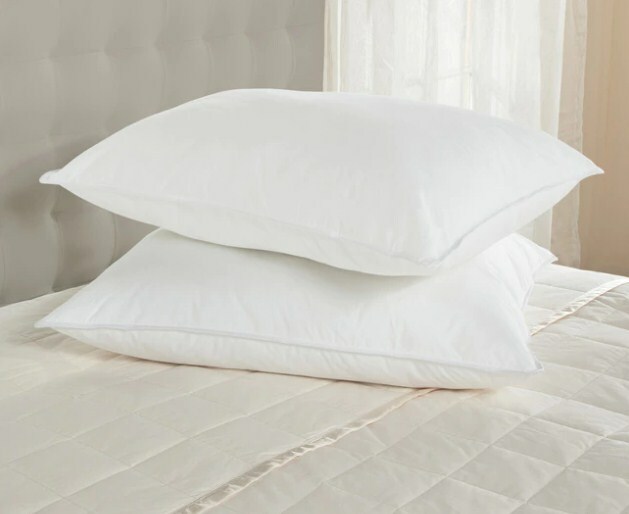 The snuggle-soft and exquisitely cushioned Luxuredown Goose Down Pillow comes in an impressive 650 fill power. 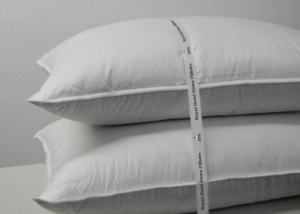 It makes the white goose down pillow exceptionally lighter with less fill weight. 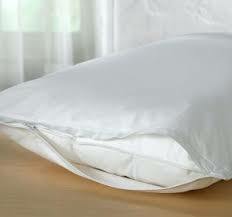 The ounces of down used to infuse the pillow shell makes it denser and medium firm. 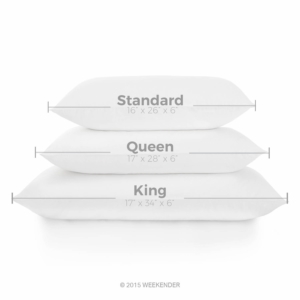 Pillows pre-filled with intermediate ounces render medium thickness and density. For back sleepers, it will cradle your natural curvature in the upper spine and align with the position of your head or neck. If you’re a side sleeper, Luxuredown boasts soft plumped-up down that acts a shock absorber for your head and neck at a cozy slant while it deters abnormal flipping to either side. 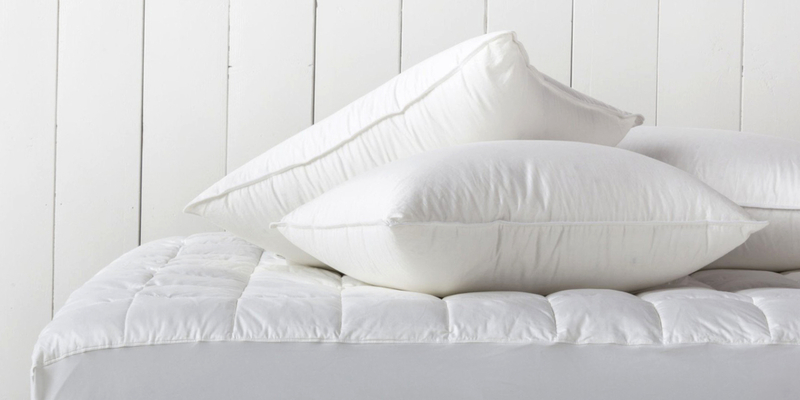 Luxuredown core stashes premium-quality white goose down that makes it fluffier, lighter and warmer. 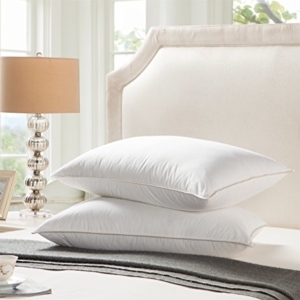 Goose down provides luxurious warmth and comfort as you relax in bed. It has robust construction and first-rate quality white goose down for constant neck support and proper spine elongation. Lighter filling combined with down’s superiority in warmth retention. Natural goose down fill boasts more resilience as the Luxuredown bounces back into shape when pressed. Goose down clusters has better buoyancy for head support with a perfect degree of softness and firmness. The well-filled pillow will not lump, shift or droop while it provides the most excellent insulation, breathability, and cloud-like sleeping experience as you drift off to deep sleep. 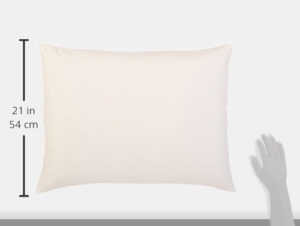 Tailored in a 100% cotton shell, the pillow’s construction translates to a wear-and-tear-proof piece. The tightly woven barrier weave casing will permanently keep the filling from punching through the fabric. The top-class cotton fabric also allows air-permeability while it’s absorbent and less slippery than synthetics. It’s also wrinkle-free; you’ll not grapple with shrunk seams. Re-fluff for fresh air to penetrate, the opulent plump maintains luxurious comfort. Cotton breathers pretty well, airflow prevents dampness. The ultra-soft outer twill allows fresh air in and prevents humidity buildup, which allows the pillow crown to remain high and plumped up. Cotton encasing keeps it resilient, re-freshened and plump. The Luxuredown will diminish dust allergies or hypersensitivity triggered by dust mites. 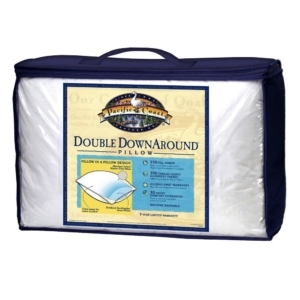 Luxuredown rigid and multi-tier purifying system renders the highest level of freshness, whiteness, and spotlessness for the goose down infusing your Luxuredown pillow. The sanitation process flushes out bacteria, odors, and other impurities. The pillows refinement differs from conventional cleaning. It preserves the toughness of down clusters as they don’t get over-dried and brittle. It maintains the original natural resilience and prevents down from going flat. The industry’s upper crust sanitizing techniques do not whittle down volume or warmth. Luxuredown surpasses all government requirements for purity and cleanliness. 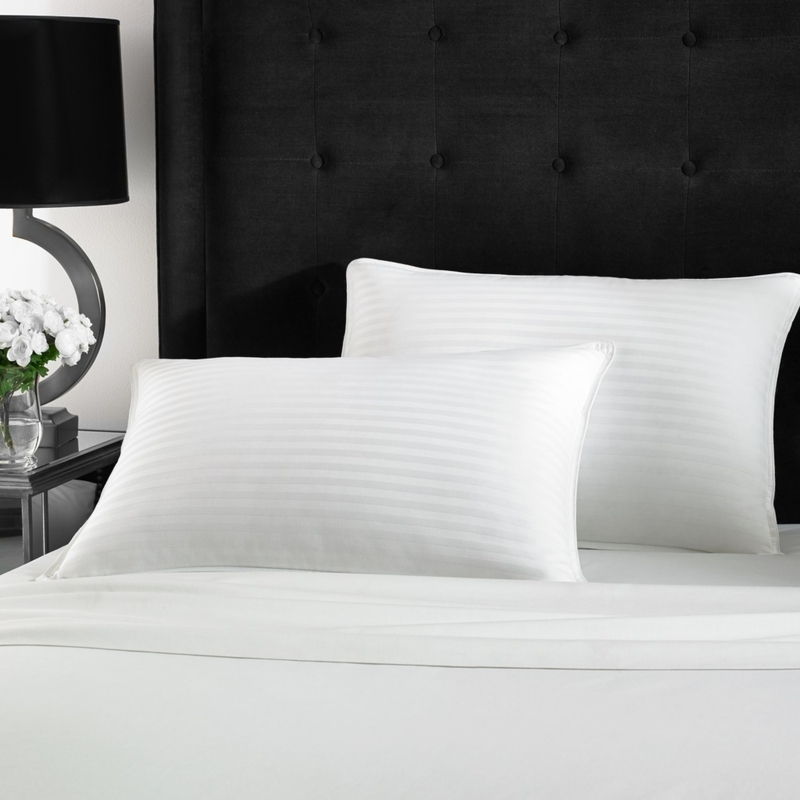 Washing your pillow relatively often at 60°C annihilates mites while tumble-drying prevents humidity. Air out the Luxuredown frequently for proper drying to keep it freshened for longer. Down-filled pillows only gobble up one-third of the volume of washing detergents. Add a few tennis balls along with it in the dryer. 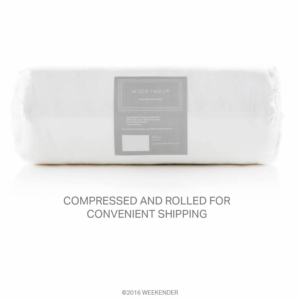 It helps the filling to restore its fluffiness and dry out faster after the wash.
Luxuredown provides consistent comfort and warmth in the long haul without wear and tear. 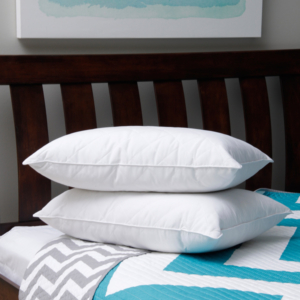 The cotton shell deters the penetration of dust mites and keeps it allergen-proof for luxurious head-cradling. Avoid vacuum cleaners as this can shatter fillings out of place. 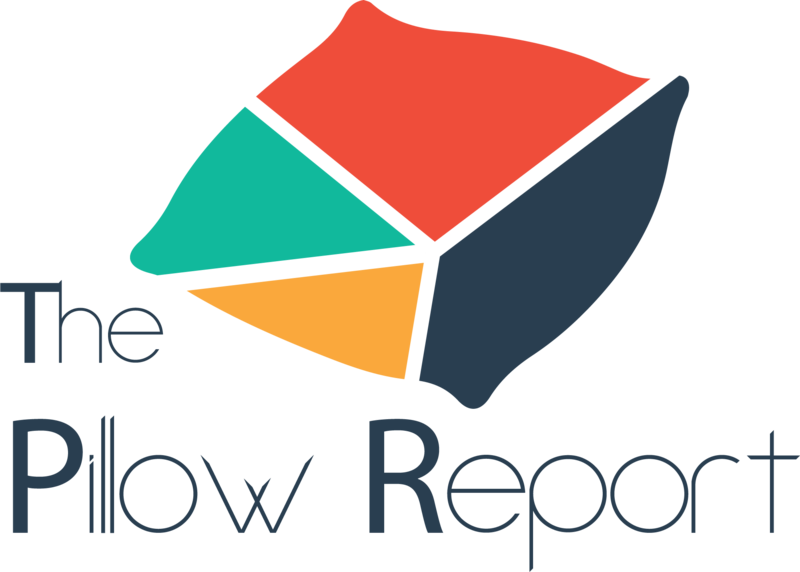 Why should you use Luxuredown Goose Down Pillow? 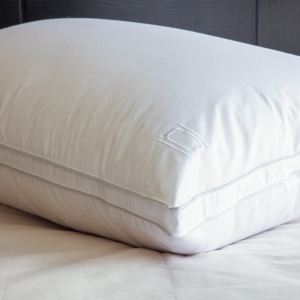 Down makes this Luxuredown an extra-soft, weightless and comfortable pillow to nod off. Filling possessing heat-and-weight-sensitive properties aligns with the temperature and pressure of your head for proper support and luxurious comfort. The down fillings delicate-to-the-touch sensation and plump up core adds an element of luxury. 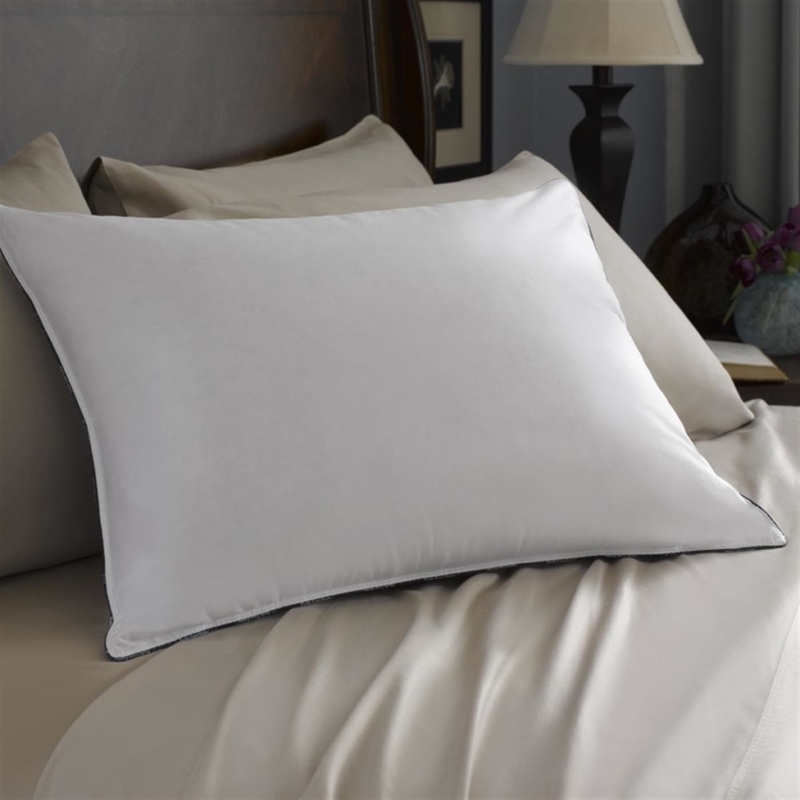 Luxuredown medium high down pillow offers a soft and supportive head or neck that acts as a deep-sleep inducing rest-zone. The firmer inner nucleus renders support for your head or shoulders. It’s incredibly soft and props up your shoulders and head. The firmer internal core keeps your spine in line, discharging pressure on your shoulders or neck. The buttery-soft and fluffy outer shell create a soft surface to rest your head. For undisrupted vacation-like slumber, the filling wick away moisture while breathable cotton twill helps keep the Luxuredown dry. Though porous enough for airflow, it does not allow down fillings to penetrate outwards. Luxuredown does not hold dust, odor, foreign particles or biological contaminants. It undergoes stringent cleaning to get rid of allergic-inducing impurities making it a safe sanctuary to move your nose across without sniffles or coughs. Luxuredown offers a resilient, the plumper and lighter pillow that does not deform or disfigure upon washing. It should regain its original volume and shape after compression. Down fillings, lighter-than-air quality allows head support with the ideal softness and firmness. Can I use this pillow to sink my head but keep my body at an elevated angle? Yes, it’s perfect for side sleepers as down keeps your body aligned. Where is it made as I have seen some reviews mention European down? It’s assembled in the USA, down may have come from Europe, but that’s only a speculation. What type of fill does it stash, is it 100% down? 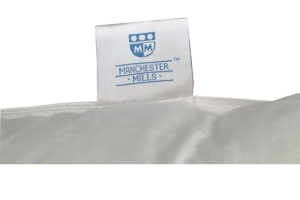 100% goose down, medium firm but soft and comfortable. Can I machine wash and tumble-dry? Will Luxuredown allow my ears to breath? I sleep on my side, and when I wake up in the morning, perspiration causes wetness in my ear? Cotton offers a highly absorbent surface for air circulation; it will not allow profuse sweating or extreme temperatures. The Luxuredown Goose Down Pillow Review feeds into the quest of side and back sleepers as the piece offers support and spinal alignment. At a glance, it’s plumped up to provide exclusive quality while its medium-firm: quintessential construction for back and side sleepers. 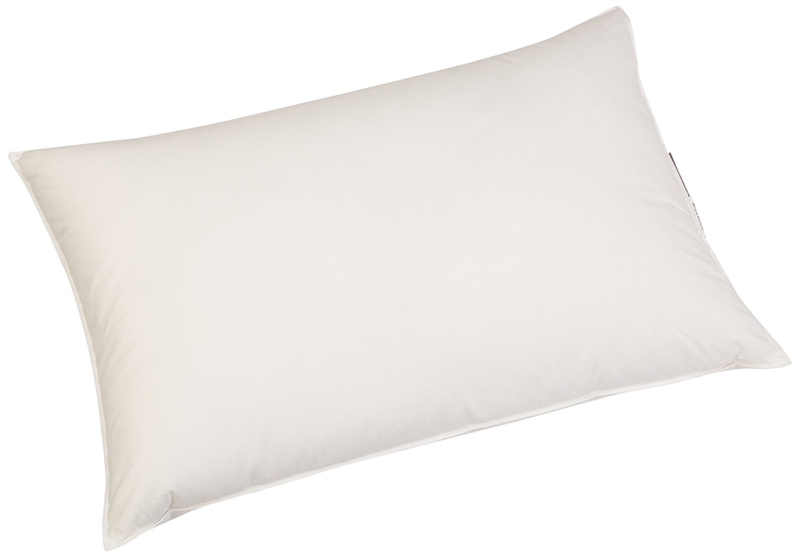 It possesses a down-proof and super-soft cotton shell that confines filling within the pillow. With top-class quality down, the Luxuredown’s moldable configuration allows it to regain its shape while offering neck and head support. It’s light, cuddly and always-fresh for a more refreshing and comfortable surface throughout all seasons. 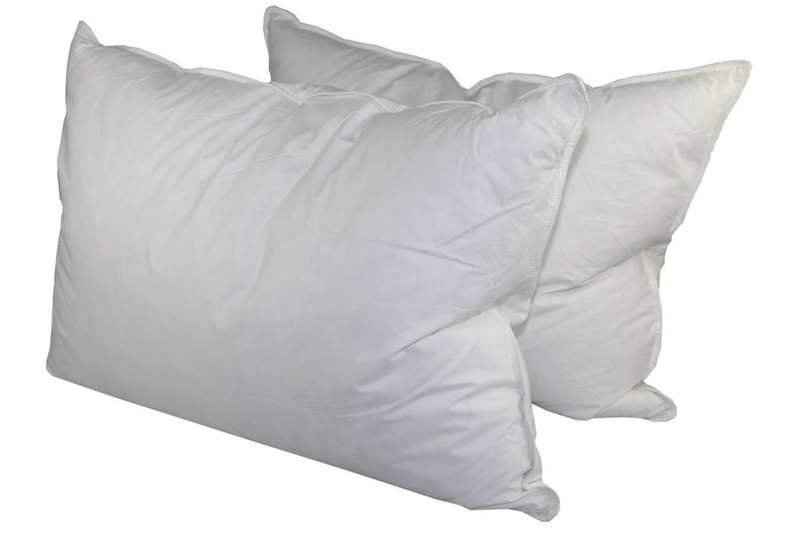 Pillows pre-filled with the soft insulating plumage equip you with nature’s most excellent insulator, warmer and lighter than other types of fills.